The Fluo Yellow n Orange is one of the colourful Blob series of dry flies that are possibly the simplest trout flies ever created, yet despite their simplicity, they are remarkably successful. The bright colours and sparkle attract the fish and although it is most effective when boat fishing they also provide excellent sport from the bank. 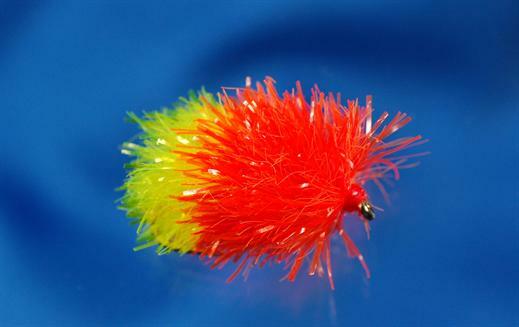 Currently there are no comments about the Fluo Yellow n Orange fly pattern from other fly fishermen yet.